Kraft Foods, for example, has recently introduced its "All Out Squeeze" Miracle Whip that eliminates the residual "mayo" in the container and a resealable package for Oreos. These are minor changes, not in the brands themselves, but in the presentation of the brands, that will lead to increased consumer satisfaction by saving on wasted sandwich spread and fresher cookies. Moreover, both ideas were developed at Kraft Foods through collaborative innovation. Steven Goers, Vice President, Open Innovation & Investment Strategy at Kraft Foods leads Open Innovation initiatives focused on delivering external solutions for the company's strategic consumer needs as an enabler to accelerate growth. Kraft Foods makes some of America's favorite food products including Kraft Singles, Kool-Aid, Capri Sun, Macaroni & Cheese, Velveeta, Stove Top, Shake 'N Bake, Wheat Thins, Jell-O, Nabisco, Oscar Mayer and Philadelphia Cream Cheese, just to name a few. Steven recently shared some Innovation strategies and successes with IdeaConnection.com. Sandy Staggs (SS): What role and level does innovation play at Kraft Foods? Steven Goers: At Kraft, innovation is successfully implementing an invention or creative idea that creates value to our consumers or our customers. We are striving to embed innovation into all we do across our company from developing innovative new products and services to doing things innovatively. Consumer needs are always changing, so we need to constantly adapt and anticipate their needs. Innovation is helping Kraft return to reliable growth—it helps us create new product platforms, reinvent our iconic brands, and improve product features. It helps us quickly adapt to the latest consumer trends, and discover ways to improve product quality while reducing costs. Innovation can apply to products, processes, packaging, ingredients, and more. It can come from many sources within Kraft—business units; corporate R&D; consumer insights and consumer relations, and elsewhere. Kraft has a Research, Development & Quality team of more than 2,000 scientists, chemists and engineers who all have a vital role in inventing the new Kraft. SS: What are some of the more exciting innovation examples at Kraft? Steven Goers: Kraft is developing innovative new products that broaden our frame of reference and compete in new categories. For example, we've recently introduced Bagel-fuls—the first nationally-available all-in-one bagel and Philadelphia cream cheese. Our Cakesters snack cakes platform is a new area for Kraft, and it's on its way to becoming a $100 million business. And, our Oscar Mayer Deli Creations sandwiches are also on the way to $100 million. SS: Are you collaborative? Do you encourage Open Innovation? Steven Goers: Kraft has a long history of developing innovative new products to meet consumer needs. We certainly have a strong internal innovation capability. However, we also realize there is a very large amount of innovation occurring outside Kraft. Open innovation is about connecting with these external innovators to extend both our innovation capacity and capability. Over the last two years, Kraft has made a more focused and organized effort to step up our open innovation activities. Innovation is not new to Kraft, but now we're more focused and have it better integrated into our business. We're now complementing our traditional R&D while now actively looking for external partners. I would characterize this as an evolution as opposed to a revolution. SS: What else does Kraft do to encourage Open Innovation? Steven Goers: One area of innovation accomplishment is the capability and framework that we've built within the company—we've established a hub and spoke model where a centrally led team focuses on the overall strategies, systems, enabling tools, networks and metrics. And, we've complemented that central team with R&D people—the open innovation "technical scouts"—embedded in each of Kraft's business units. These people focus on scouting and driving open innovation activities for each of their business units. SS: What are some of Kraft's successes using Open Innovation? Steven Goers: One big Open Innovation success is Kraft Bagel-fuls, a combination bagel and Philadelphia cream cheese, introduced nationally in the late spring. It is a solution for consumers providing convenience and portability, while leveraging our Philadelphia cream cheese quality and heritage. It came as an unsolicited idea from a third generation bagel maker with a niche market. It was a win for him because it became an opportunity to expand that product much more broadly, and it was a win for Kraft because it helped address some of the past technical challenges that we encountered with regard to the delivery of both a bagel and the cream cheese together. A few other products recently launched in our grocery division are our "All Out Squeeze" Miracle Whip and Mayo. Open Innovation led us to license a partner's packaging technology and apply it to our products. A consumer dissatisfier was the residual product that remained in the container. Now, a 24 oz "All-Out Squeeze!" container of Kraft Mayo typically makes 4 more sandwiches than the other leading brand. Kraft then added improvements to run on our lines at high speed. This is a great example of turning a consumer quality concern into an opportunity and levering open innovation to find the solution. We have even more examples: our new flavor launches of Triscuit and Wheat Thins crackers are the result of Open Innovation with a key supplier partner that has given us access to new flavoring ingredients, formulation expertise and consumer insight, while enabling a significant reduction in time to commercialization. Examples include Triscuit Fire Roasted Tomato & Olive Oil and Wheat Thins Reduced Fat French Onion and Garlic & Herb. And, our Bull's-Eye Barbecue Sauce Guinness® Draught Beer Blend is the result of Open Innovation through a trademark licensing partnership that has given us access to new ingredients and licensed brands. The concept works for packaging, too: our unique "Snack 'n Seal" resealable packaging featured on some of our most popular biscuit brands like Oreo and Chips Ahoy! was developed with the help of an outside supplier. SS: How has Kraft used the Internet for Open Innovation? Steven Goers: Our internet portal is one of our new capabilities designed to capture unsolicited innovations. It was designed to attract innovation from companies and entrepreneurs in an effort to help meet Kraft's needs. We've recently refreshed the website so it now provides more information on needs that we are looking for and examples of recent product launches. Steven Goers: Open innovation is good for Kraft and good for the partner. Partnering with Kraft means access to our brands, technology, marketing expertise and distribution channels to bring scale. We can help smaller companies or entrepreneurs take a great innovation and make it bigger and even better. Steve Goers assumed the position of Vice President, Open Innovation & Investment Strategy at Kraft Foods in 2007. Responsibilities also include Venture Capital investments, Intellectual Property and Knowledge Management strategies. Steve has twenty-five years of R&D experience at Kraft Foods. 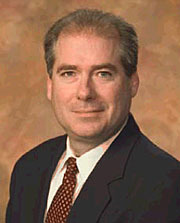 Over his career, Steve has held several positions across the R&D organization including strategy, product development, new technology discovery, and breakout new product development supporting the Beverages, Coffee, Desserts, and Cereal businesses, in both the U.S. as well as Banbury, England. Steve holds a PhD in Biochemistry & Microbiology from Rutgers University, New Jersey; MS in Biology from SUNY Binghamton, NY and a BA in Biology from Gordon College, Wenham, MA. I have a fantastic, delicious idea that will save money and time for you consumers and my idea will also eliminate the use of some plastic and glass. And will be a great help to the environment. Thank you so much for this opportunity to share my thoughts and ideas. I have an idea on how you can sell one of your products differently that people would love. Fostering innovation at Kraft has obviously been a great success of yours. Your credibility however , is lessened by noting in your very first sentence reducing CO2 emissions as one of the worlds most complex dilemmas . Please take only a short time to examine the relationship of CO2 to climate and you will immediately discover there were much greater Pleistocene climate changes with far less CO2 concentrations than exist at present. Climate is determined by solar energy received by Earth. I am sure you have seen images of the Sun 's roiling surface. To think radiated solar energy constant is absurd. CO2 concentrations are an insignificant factor in climate determination. Advocates of that straw man theory are self serving to maintain a cottage industry to provide their employment. You have succumbed to one of the greatest propaganda projects since WW 2. TPS, Transworld Printing in Stockton has a variety of ideas for labeling. Their creative designs and labeling presently works for Safeway stores and many national companies. Greg Tosto is looking forward to meeting with you and the team. He is able to expand your great product line nationally and internationally. In 1999, he started Stew Leonard's fresh mozzarella department in Yonkers. New York and Connectiicut. Stew Leonard is a fortune 500 company. Greg Tosto has many ideas. Let us know how we can help you add to your great product line. CiDRA Corporate Services makes and markets sonar flow meters for monitoring flow of liquids, gasses and air. Our proven SONARtrac and AIRtrac technologies are also capable of measuring the entrained air/gas in a pipe as the fluid moves past our sensor (clamped onto the outside of the transfer pipe). If Kraft innovation (and operations/productions) is interested in knowing and controlling the entrained air content on a real-time basis as it makes and bottles it's products (or in batch mixing tanks) we have great technology to introduce. Willing to come to Illinois to meet with interested Kraft people. Have an innovation product line to help meet Krafts need for premium label organic salad dressing, an area where market share is missing. Mr Vernon discussed this issue in WSJ article 8/13/13 and I would like to speak with you both about a possible collaboration. I currently have an idea for your company it basically has to do with the name KRAFT i have come up with an idea of what each letter can stand for, i really would like to introudce this to Henry Kraft. I look forward to hearing from you guys, thank you for your time.